Jules Archer begins with laws that opened up Americapublic lands and homesteadingand continues with banking, the Bill of Rights, subversion and sedition, foreign policy. Natural resources, labor, business, education and welfare, farming, Prohibition, the New Deal, the draft and G. I. Bills, slavery and civil rights. Archer chronicles the history of laws in America. Each chapter opens with a dramatic incident, and then develops the laws relating to it. 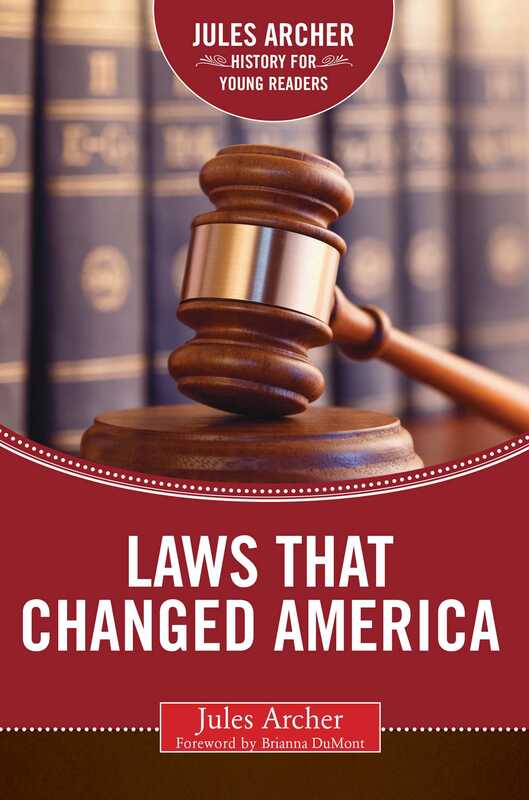 Brisk up-to-date, authoritative, informativethis volume will be valuable a supplementary reading in the classroom, as well as a welcome addition to libraries across the country. Readers of all ages will find this an exciting approach to what is usually considered difficult material.